Although India and China have very different experiences of colonialism, they respond to that history in a similar way-by treating it as a collective trauma. As a result they have a strong sense of victimization that affects their foreign policy decisions even today. 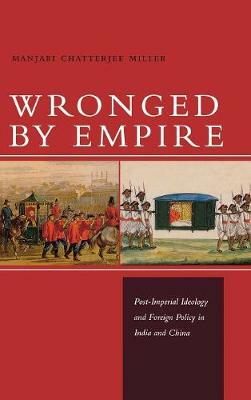 Wronged by Empire breaks new ground by blending this historical phenomenon, colonialism, with mixed methods-including archival research, newspaper data mining, and a new statistical method of content analysis-to explain the foreign policy choices of India and China: two countries that are continuously discussed but very rarely rigorously compared. By reference to their colonial past, Manjari Chatterjee Miller explains their puzzling behavior today. More broadly, she argues that the transformative historical experience of a large category of actors-ex-colonies, who have previously been neglected in the study of international relations-can be used as a method to categorize states in the international system. In the process Miller offers a more inclusive way to analyze states than do traditional theories of international relations.